Tired of choosing between speed and accuracy? With the Ballista you can get the best of two worlds. 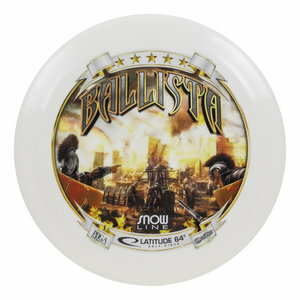 One of the fastest discs in the world combined with a dependable flight pattern makes the Ballista a must-have in the bag. It will be overstable for beginners and slightly understable for experienced players. Now available in Snow Line again.